When Nick Schweitzer, senior brand manager at Hormel Foods, learned about a community solar garden that was going to be constructed near the plant where Hormel® Natural Choice® uncured bacon products are produced, he was all ears. The company’s environmental sustainability team was all ears as well since they had set a goal to reduce non-renewable energy use by 10 percent by 2020. 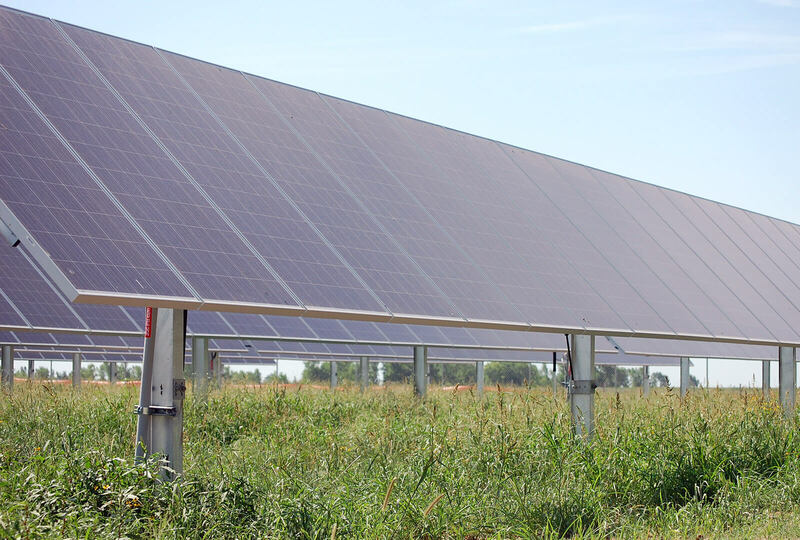 Westar Energy was planning to construct the community solar garden just 50 miles away from the company’s Dold Foods (Wichita, Kansas) manufacturing facility, and conversations soon began taking place between the companies. But Coulter Wood, senior staff engineer at Hormel Foods, is quick to point out another benefit of solar energy. “Community solar is beneficial to the air quality of our communities, and also helps to create jobs for the local economy,” he said. 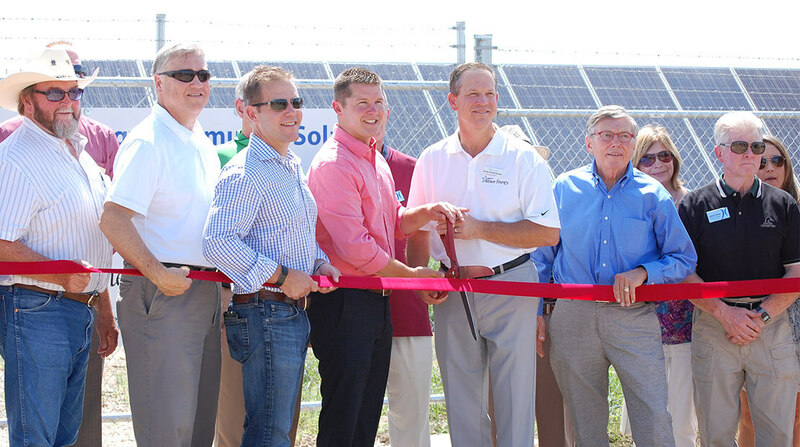 Joe Peine, plant manager of Dold Foods, joins Westar Energy representatives at the ribbon cutting. A luncheon event was held at the garden site to celebrate its completion featuring, of course, bacon! Guests enjoyed BLT sandwiches featuring Hormel® Natural Choice® original uncured bacon and watermelon salad featuring Hormel® Natural Choice® cherrywood smoked uncured bacon.